A beautiful pair of handmade crystal brandy/liqueur glasses from the very British Dartington in Devon. 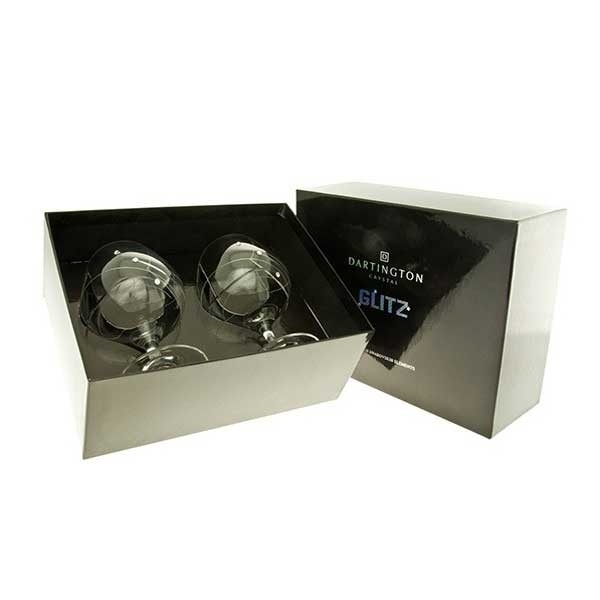 These stylish glasses from the Glitz range are finished with Swarovski® crystals. At 145mm high and a capacity of 34.5cl they are a beautiful addition to anyone's glassware collection.